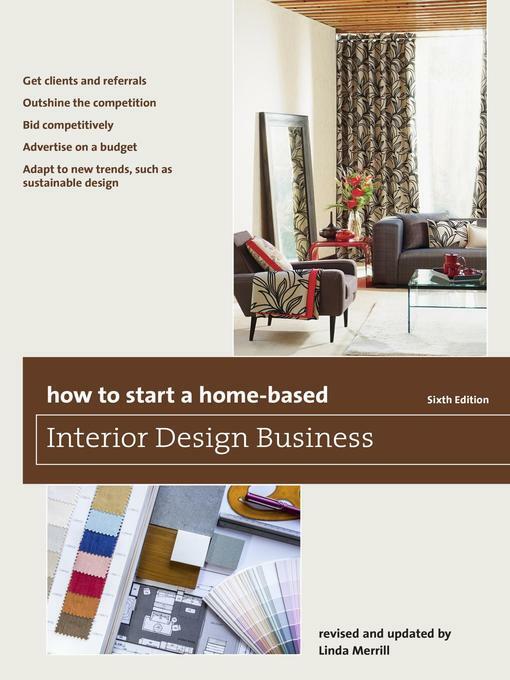 Have you ever dreamed of starting your own home-based interior design business? Have you been hesitant to put your business plans into action? This book contains all the necessary tools and success strategies you need to launch and grow your business. An experienced designer shares her experiences and advice on every aspect of setting up and running a thriving home-based interior design business. Learn how to develop a business plan, estimate your start-up costs, price your services, and stay profitable once you're in business. Read all about getting clients and referrals, outshining the competition, bidding competitively, establishing your daily schedule, organizing your business, getting paid and much more. The book is packed with worksheets, including products and services charts, a sample balance worksheet, a profit-and-loss worksheet, a cash-flow projections worksheet, a weekly accounting ledger, a vendor sale sheet, and a bid sheet.